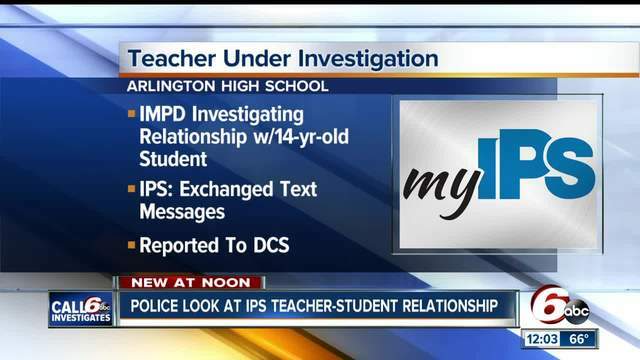 INDIANAPOLIS -- The Indianapolis Metropolitan Police Department is investigating allegations involving an inappropriate relationship between a male teacher and a female student at Arlington Community High School. A summary of the Indianapolis Public Schools police report says "IPS investigates exchange of text messages." The reports lists the alleged victim as 14 years old. 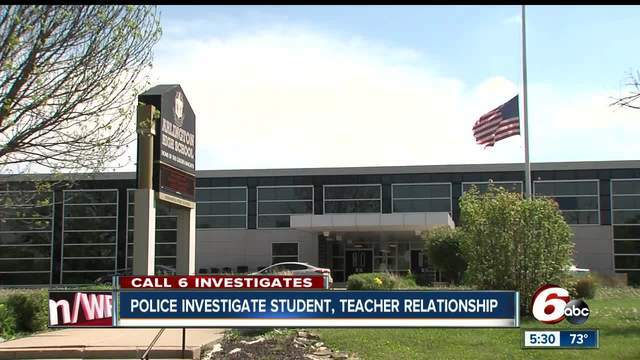 A spokesperson for Indianapolis Public Schools told Call 6 Investigates the district became aware of allegations of an inappropriate relationship between a male teacher and female student at Arlington Community High School reported on Friday, April 21, 2017. "All of the necessary reports were filed immediately to (Child Protective Services) and Title IX," said Carrie Black, media relations coordinator in a statement to Call 6 Investigates. "This case is now under investigation by the Indianapolis Metro Police Department." No arrests have been made, but Adams said IMPD does have a person of interest they are looking at. It’s not yet clear if the teacher is still working at IPS while IMPD investigates the allegations. IPS has faced recent criticism for delays in reporting allegations of child abuse and neglect involving its students. The district has boosted their sexual misconduct training and reminded teachers and staff of their duty to report suspected child abuse and neglect immediately.